This new 2-in-1 convertible Android tablet has an 11.6-inch IPS display, is powered by the Intel Atom Z8350 processor, next to 2 GB RAM and 64 GB internal storage. Those interested can purchase it from Walmart for $179 USD. E FUN is back with a new Android convertible tablet that aims budget-conscious consumers. 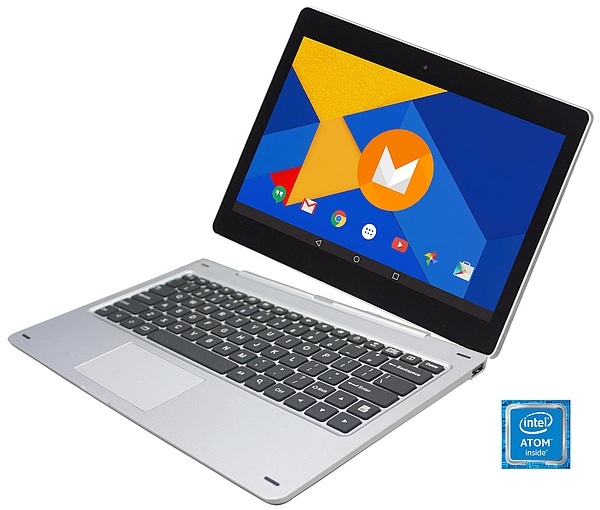 Called Nextbook Ares 11A, this slate has an 11.6-inch display and uses a quad-core Intel Atom processor. The standard retail package also includes a detachable hard shell, foldable LED POGO keyboard. The highlights of the Ares 11A include the Intel Atom x5-Z8350 processor, 2 GB RAM, 64 GB internal storage, microSD support up to 128 GB, WiFi 802.11 b/g/n. Bluetooth 4.0, micro HDMI, GPS, 2 MP front and back cameras, an 11.6-inch display with 1,366X768 pixels, a 9,000 mAh battery, as well as a detachable backlit keyboard that features two USB 2.0 ports. This convertible comes loaded with Android 6.0 Marshmallow. Available in silver and black, the E FUN Nextbook Ares 11A can be already acquired from almost 3,800 Walmart stores in the US for $179 USD. The slate can be ordered online for the same price as well, coming with two-day shipping.